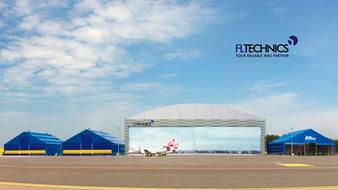 FL Technics, a global provider of comprehensive aircraft maintenance, repair and overhaul services, has announced its plans to invest almost USD 4 million into high-tech aircraft maintenance equipment at its newly-launched MRO hangar in Kaunas, Lithuania. The latest equipment will support new FL Technics 8000 sq. m. MRO centre in servicing both narrow and wide body modern aircraft, including Boeing 747 and Boeing 787 Dreamliner. 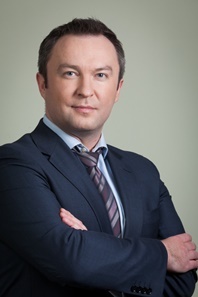 According to the Head of FL Technics aircraft maintenance base in Kaunas Martynas Grigalavicius, the capabilities of the new MRO centre are orientated towards servicing all major types of modern aircraft, operated by European carriers. The new hangar allows servicing up to five Airbus A320s or other types of similar size aircraft simultaneously. Moreover, the extended FL Technics capabilities will enable the company to service such modern aircraft as Boeing 787 Dreamliner or wide body Boeing 747s. The company’s overall investment into the new MRO centre totals almost USD 15 million. Following the full implementation of the investment strategy, the new FL Technics base in Kaunas will create almost 300 new jobs, including over 200 places for aircraft mechanics, engineers and other aviation technical personnel. Being a Boeing GoldCare partner, FL Technics offers a full range of MRO support for aircraft at its Kaunas MRO centre: base and line maintenance, including A-to-D Checks, engine and landing gear replacement, component and composite repair shops, NDT, cabin refurbishment as well as aircraft livery change and other services.